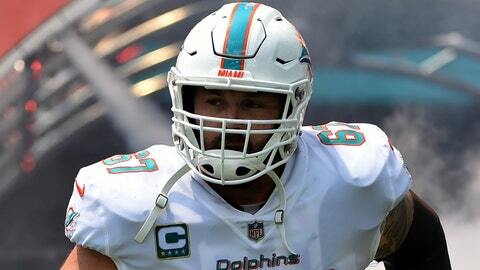 Miami Dolphins center Daniel Kilgore has a torn left triceps that might sideline him for the rest of the season, the latest setback for a team dealing with a wave of injuries. DAVIE, Fla. (AP) — Miami Dolphins center Daniel Kilgore has a torn left triceps that might sideline him for the rest of the season, the latest setback for a team dealing with a wave of injuries. Kilgore was hurt in Sunday’s 38-7 loss at New England. Six other starters have also missed playing time this season because of injuries, including guard Josh Sitton and tight end MarQueis Gray, both out for the season. Veteran Travis Swanson filled in for Kilgore against the Patriots and will likely move into the starting lineup. The Dolphins acquired Kilgore last March in a trade with San Francisco to replace Mike Pouncey, who was released because of concerns about his durability.